I did this little project back in the school holidays and I totally forgot to share it with you guys. School holidays do that to you don't they... they make you forget things, like the fact that once upon a time pre children you had a brain. 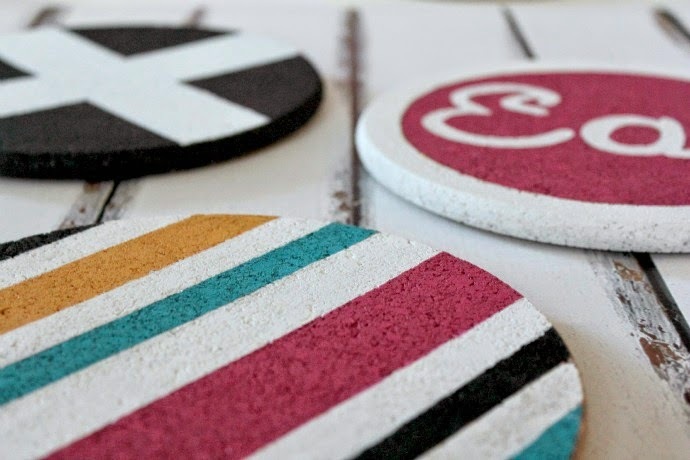 These funky little hot pads were born out of something so simple. You see I had thrown these babies into my trolly at IKEA just before the holidays because they were only a couple of bucks for five of them. "What on earth are you going to do with those?" my hubby questioned me. "Oh I have big plans for these" I exclaimed "like really HUGE kind of big plans." The truth was I had nothing. I was just a sucker who had been seduced by a packet of cork mats at a really hot price. IKEA does that to me. I always end up with things I had no idea I needed. So deep down there is a part of me that would like to think of myself as some kind of Martha Stewart, you know changing the world one fabulous craft at a time. The reality is I am just a frustrated crafting amateur who likes to hide out in her lady cave every now and then and attempt to clear out her overloaded supplies cupboard... one craft at a time. 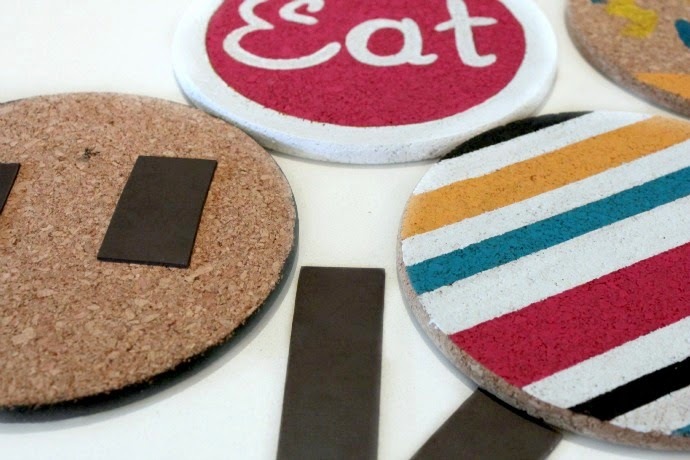 The idea for these cork boards actually came to me one afternoon in the week before school broke up for the holidays. The kids were knackered and whingy in that typical end of term way, so I locked myself in my office to escape the whining. 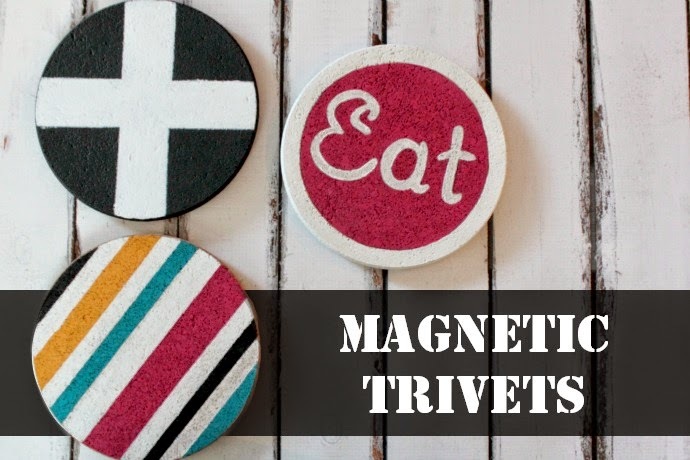 I was digging through the cupboard looking for a project I could do in the safety of my room and so I naturally thought of cork magnetic trivets. Yeah OK, not really. I just kind of started painting the cork rounds and then part of the way through I decided I would give to people as gifts and then it kind of just evolved from there. 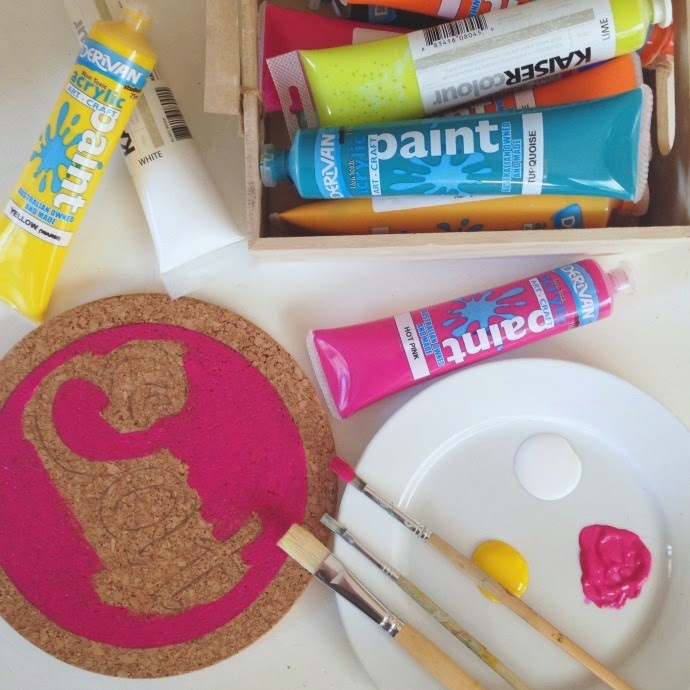 I even let the kids have a go at painting their own in the end because they were banging on my door wanting to know what I was doing in there and I was now kind of semi chilled from being in a crafting zone. The magnetic part was an after thought because after I finished painting these babies I was on a bit of a creative high and so I was all "And yeah if we put some magnets on the back of these we can totally stick them to the fridge... yewwww!" 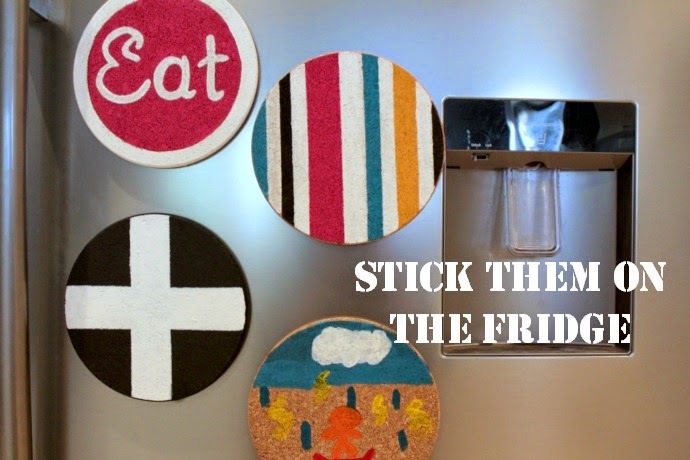 So Martha Stewart you are at no risk at being knocked off your thrown by yours truly, but I betcha don't have really cool cork magnetic trivets like these huh? Yeah, OK you probably do. Pffft! Do you ever find yourself in the awkward position of having to think up a semi-believable explanation for a totally random purchase?